2019 CCM Spitfire Flat Tracker. Picture credits - CCM. Submit more pictures. Originating in the USA, Flat Track racing is one of the oldest forms of motorsport. Its popularity spiked in 1971 with the launch of �On any Sunday� bringing this exciting sport to the masses. CCM enjoyed success on the short circuits with Marco Belli at the helm, taking the FT510 to overall victory in the 2008 European short track championship. The new Spitfire Flat Tracker takes its inspiration from those early pioneers with the signature trademarks of a CCM machine. Ask questions Join the 19 CCM Spitfire Flat Tracker discussion group or the general CCM discussion group. Enter your e-mail to join the 2019 CCM Spitfire Flat Tracker forum and get notification of answers and new messages about this bike. You can unsubscribe with a single click. Bikez does not display, sell	or misuse e-mail addresses. Bikez.biz has an efficient motorcycle classifieds. Ads are free. Click here to sell a used 2019 CCM Spitfire Flat Tracker or advertise any other MC for sale. 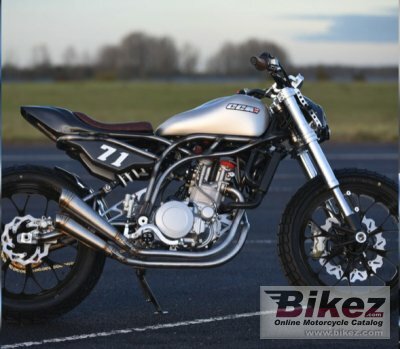 You can list all 2019 CCM Spitfire Flat Tracker available and also sign up for e-mail notification when such bikes are advertised in the future. Bikez has a high number of users looking for used bikes. Before you buy this bike, you should view the list of related motorbikes Compare technical specs. Look at photos. And check out the rating of the bike's engine performance, repair costs, etc.